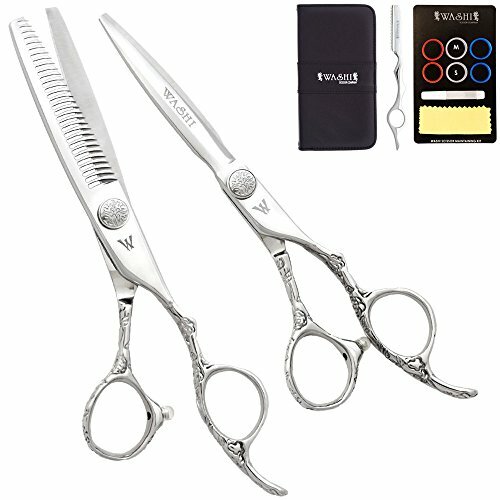 The Knockout 2 Piece set comes with a high quality 5.5" cutting shear. The V-10 Japanese steel will not disappoint and has fantastic edge longevity. The matching 30 tooth thinner is great for general, everyday texturizing work. It all comes in a convenient case with a free razor and all the accessories.